Update 12/24: Added Android 5.0.2 link for the Nexus 7 (2012) WiFi. Update 12/10: Added Nexus 4 link. Also added Nexus 6 link. 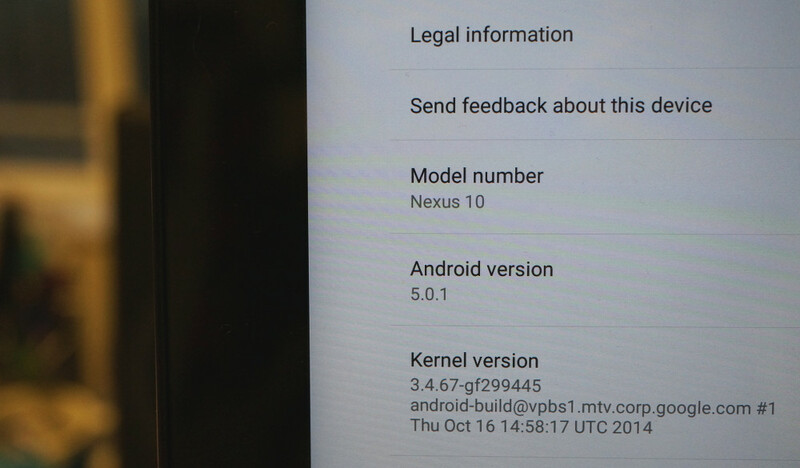 Android 5.0.1 OTA updates are starting to pop-up for most of the Nexus devices, which isn’t all that surprising after seeing the new Android version hit AOSP yesterday with factory images shortly behind it. The first three devices to receive build LRX22C are the Nexus 9, Nexus 7 (2013) WiFi, and Nexus 10. But don’t be surprised if the Nexus 4, Nexus 5, Nexus 7 (2012) WiFi, and Nexus 6 updates aren’t far behind them. As is the case each time new OTA updates rollout for Nexus devices, we have started a running list of the updates that can be sideloaded, along with instructions for flashing them. We will continue to update this list as more device updates pop up. Also, as a reminder, we only provide the direct-from-Google download links, so these are as safe as can be. Note: We will update this post as more update zip files are made available. Continue to check back. For instructions to sideload using adb, check here. For instructions on how to grab an OTA file, check here.